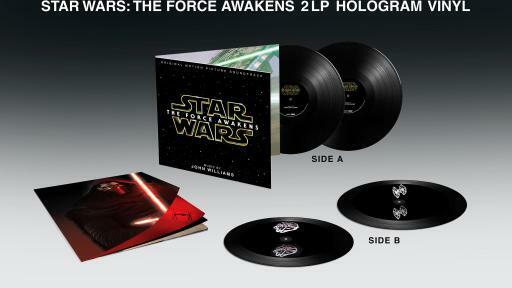 Walt Disney Records is set to release a new hologram vinyl version of the original motion picture soundtrack for Star Wars: The Force Awakens. 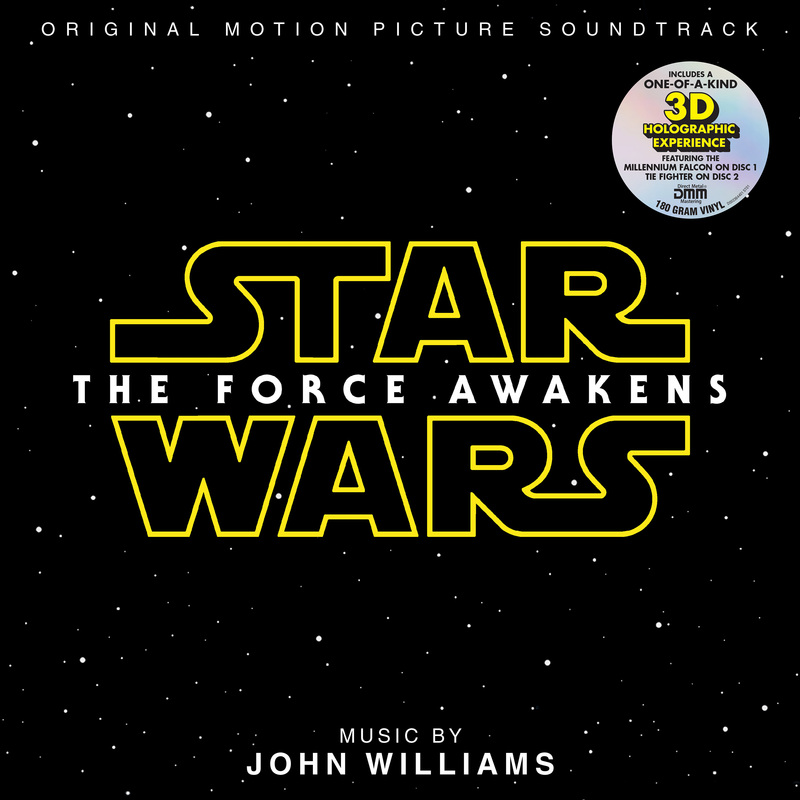 With score conducted and composed by five-time Academy Award®-winning composer John Williams and liner notes by the film’s director, J.J. Abrams, the double LP features a 16-page booklet on 180 gram vinyl. 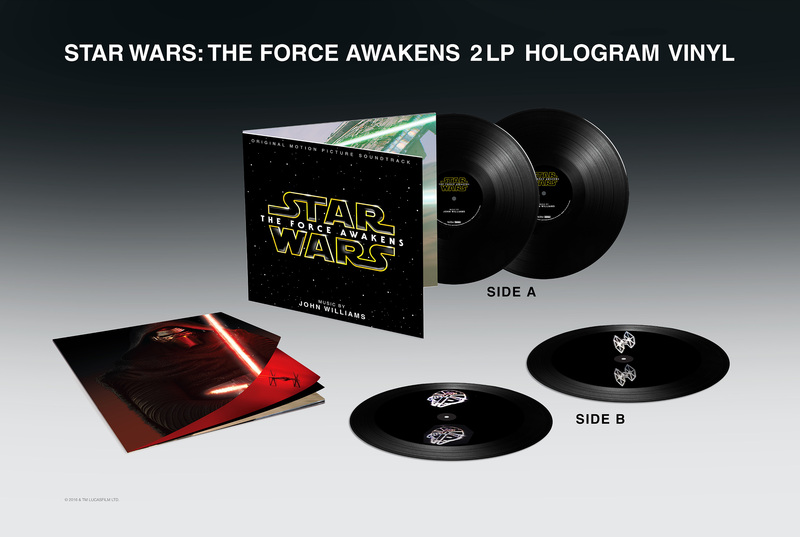 This one-of-a-kind vinyl set, hand etched by Tristan Duke (Jack White’s Lazaretto) of Infinity Light Science, offers a 3D hologram experience featuring the Millennium Falcon on Disc 1/Side B and a TIE Fighter on Disc 2/Side B. For optimal viewing, use a direct light source or simply hold a mobile phone flashlight above the vinyl to view the holograms. Tristan Duke founded Infinity Light Science in 2008, a research laboratory with an emphasis on laser holography, interferometry, light-field imaging, hand-drawn holography, and relativistic imaging. The must-have vinyl album also features Direct Metal Mastering (DMM) for an optimal listening experience. 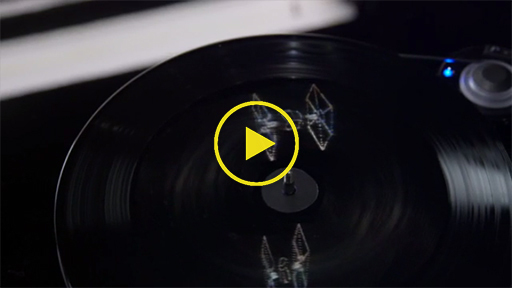 Disney Music Group has joined forces with Pro-Ject Audio Systems to showcase this unique, next-level advancement in holographic vinyl technology with the Elemental turntable, a combination of minimalist design and maximum performance from the world leader in high fidelity turntables. The two brands will collaborate on co-promotions at retail, online, and radio. 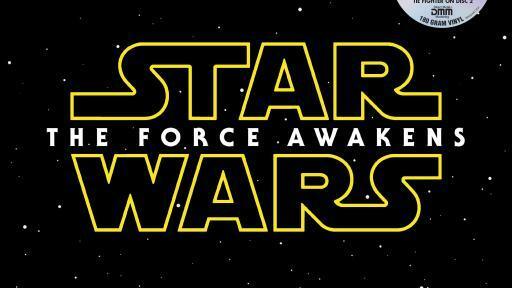 The Star Wars: The Force Awakens 2-LP hologram soundtrack will be available on June 17, 2016 at Disney Music Emporium, the destination for collectible Disney music products. The vinyl set is available for pre-order beginning today, at www.disneymusicemporium.com and also at Amazon http://smarturl.it/swamhv1. For more information on Walt Disney Records’ releases, like us on Facebook.com/disneymusic or follow us at Twitter.com/disneymusic. For more information on Disney Music Emporium, please visit DisneyMusicEmporium.com, become a fan at Facebook.com/disneymusicemporium or follow us at Twitter.com/DisneyMusicEmp.